Hugh A. Barnhart’s leadership abilities became apparent early in life as he held senior class president positions in both high school and at Indiana University. He served as a commissioned officer in World War I and following that became publisher and editor of the Rochester Sentinel. 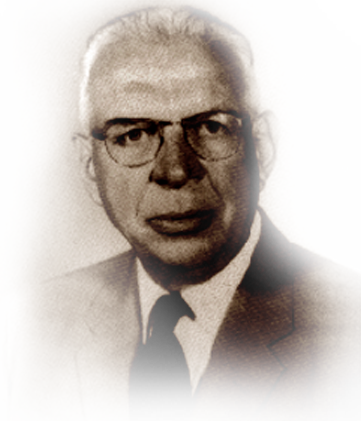 He became president of the Rochester Telephone Co. in 1934 and chairman in 1968. Barnhart recognized the importance of political involvement as a telephone industry leader, and during the period 1931 through 1956 served as a member of nine different state commissions and departments, in federal offices of the Department of Commerce and the Defense Orientation Conference Association. He served as a director and lifetime member of ITPA Advertising Committee, and was USITA president from 1958-1959. He received the Indiana Telephone Man of the Year Award in 1959 and USITA’s Distinguished Service Award in 1971. His civic and community service involvement over the years has been extensive and continuous, and he was the recipient of the Rochester Distinguished Community Service Award. Barnhart was a true business leader in every sense of the word and is best known for the guidance and direction that he gave for many years to the Independent telephone industry. He died in 1986.